Alongside the Share icon is a shortcut for sharing via email and a shortcut for creating a ZIP file. If you need to share a large file, one of the most efficient ways is to compress it as a ZIP file before sending it. The file will be much smaller and thus upload and download more quickly. 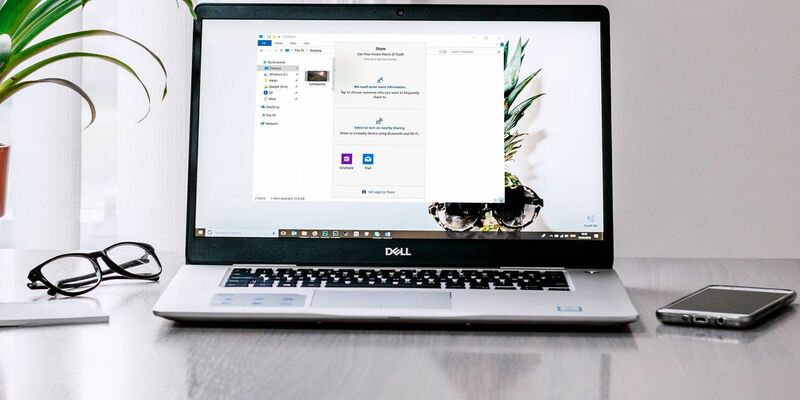 If you would like to learn about other ways to share files in Windows, we have got you covered. Make sure you check out our articles on how to share files with QR codes and how to share files without a cloud storage account.